As you may have seen on Instagram, my cat Rufus lost a leg. He snuck out an open window and plummeted three floors, breaking his back left leg really badly in the process. He's doing fine now (and wearing a sweater! 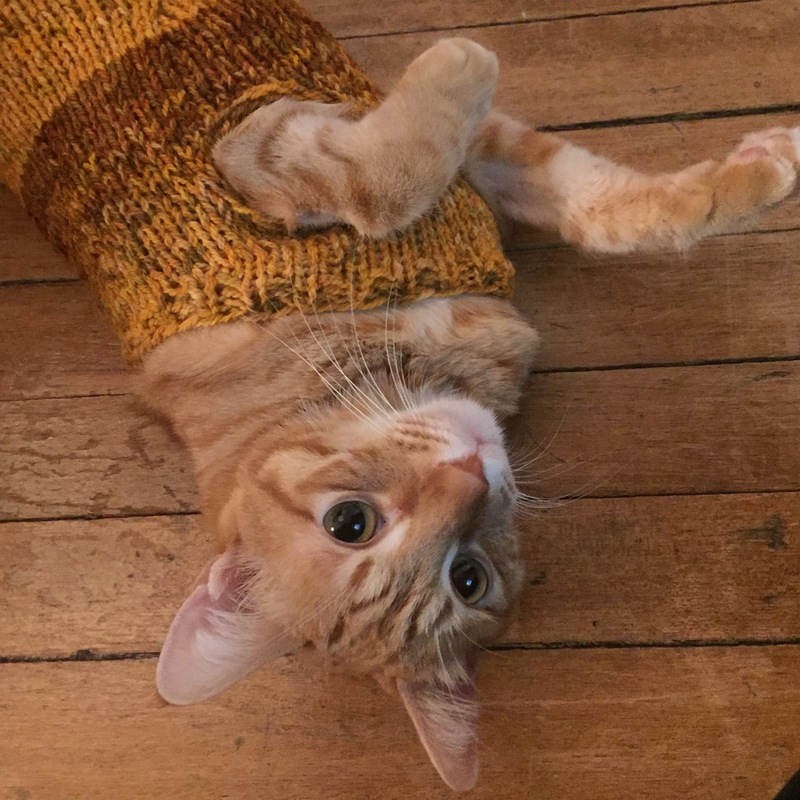 A cat in a sweater! ), but it was a horrible ordeal for him and I'm beyond thrilled that he's alive. In celebration of Rufus' three remaining legs (and his epic vet bill), I'm running a Buy 3, Get 4 Promotion on orders placed now through Feb 15, 2016. Buy any three kits, and get an Extra Large Minicake Gradient Skein (reg. price $48) free. Buy any three skeins of Helix and get a fourth skein free. You can double down on a sweater quantity, too - buy 6 skeins of Helix, and get 8! Please make sure to let us know what color you want for your free skein(s) in the "Anything else we should know about your order?" box at checkout. P.S. - Sign up for our newsletter (there's a handy button on the right) for a monthly free pattern and other special deals!